This is week 15 of our Photo 52.2 Blog circle and this month we are continuing our focus on Perspective, with the first month examining the way choice of lens alters one’s viewpoint. This week we are seeking to isolate our subject, whether through the use of a telephoto lens or otherwise. Telephoto lenses bring distant subjects close by magnifying the scene and, consequently, we are able to view only a smaller portion of it at a time. Moreover, telephoto lenses tend to create a shallow depth of field and compress the background, leaving less environment surrounding a subject, and that environment is often quite blurred. For this reason, portrait artists often use longer focal lengths, so that their subject remains prominent in the frame and other elements are reduced. The consequence, of course, is that the photographer then has fewer elements with which to tell her story. This week I chose photos I took on a very snowy day in Wisconsin. 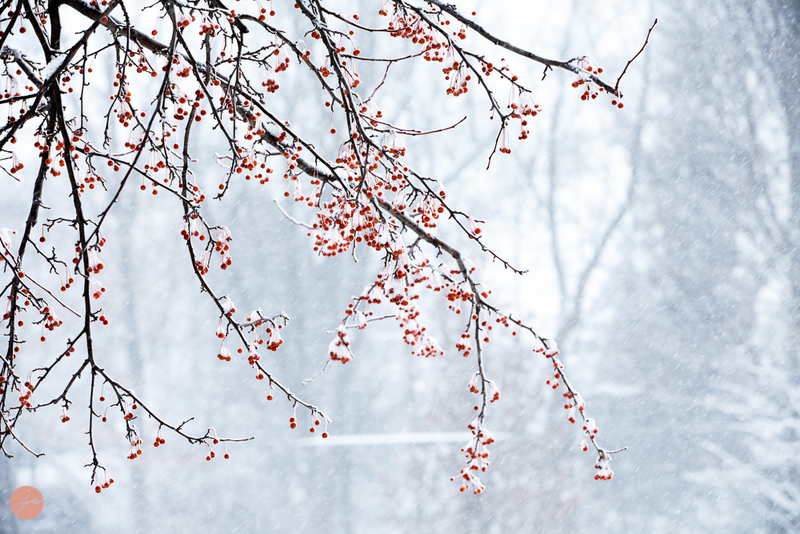 I saw these red berries amongst white-out conditions and used my new favorite 70-200 2.8 lens to isolate the berries covered in snow. I included another photo of more of the background as well. I was still isolating the berries but this offers a different perspective. To see all my friends' photos together in one grid, click HERE.